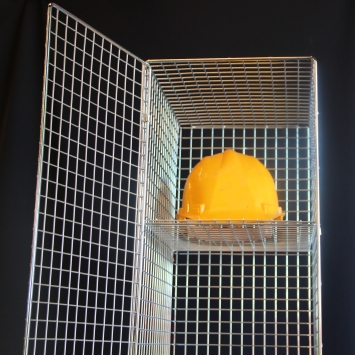 At MS Guardio we pride ourselves in offering the widest range of wire mesh guard solutions for all your health & safety needs and much more. We stock an extensive choice of guards to suit all the most popular radiator models and we continue to expand the list of supported models. This article offers some guidance on how to navigate our site to choose your radiator guard. The easiest way to choose your radiator guard is if you know your radiator make and model. If you know your heater make and model you can enter it in the search box. For example, if you have a Dimplex XLS24 storage heater, just enter XLS24 in the search box and this will bring you to a results page which displays the SH24 storage heater guard designed by AIANO for the Dimplex XLS24 and equivalent-sized models by other manufacturers. The product description for the SH24 shows clearly that this guard is suitable for the Dimplex XLS24. 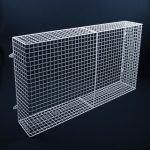 On the page called Additional Information, you can see the dimensions and full specification of the guard. You can also use the left navigation bar to choose your radiator guard. The most popular Dimplex and Creda models are listed in the left-side navigation bar under SUITS HEATER MODEL. They are ordered, clickable and will enable you to navigate straight to the correct guard product. Another category included in the left-hand bar to help narrow your choice and find your guard swiftly is HEATER MAKE. HEATER MAKE refers to the heater manufacturer, e.g., Dimplex, Creda, and so on. Another way to choose your radiator guard correctly is if you know the type and size of your radiator. You can navigate to Heater Guards — Panel Heater Guards and then look under HEATER SIZE in the left-hand navigation bar for your correct heater. They are ordered, clickable and will enable you to navigate straight to the correct guard product. You can navigate to Heater Guards — Storage Heater Guards and then look under HEATER SIZE in the left-hand navigation bar for your correct heater. They are ordered, clickable and will enable you to navigate straight to the correct guard product. 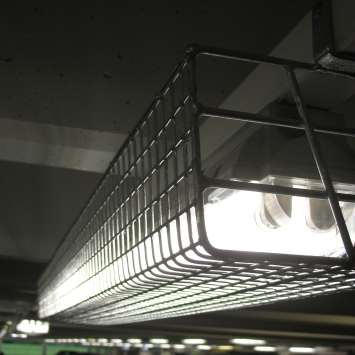 The same process can be followed for Quartz Heaters by navigating to Heater Guards — Quartz Heater Guards. You can also navigate to either Storage Heater guards, Panel Heater Guards or Quartz Heater Guards, as described above and then look under GUARD SIZE to identify a suitable guard very quickly. 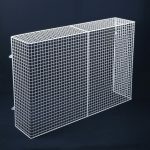 For example, if you need storage heater guard with the dimensions w1166 x h775 x d258mm, by navigating RADIATOR GUARDS — STORAGE HEATER GUARDS you can look under GUARD SIZE in the left navigation pane, to see the list of standard guard sizes available in this category of radiator. 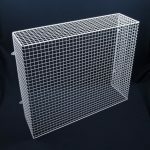 One of the guard sizes listed is w1168 x h787 x d254mm, which is an AIANO SH24 storage heater guard. By clicking on the selected size you will come to the search result page from where you can go to the product page for this guard and find the full specification of this guard including size and heater models supported. To choose your radiator guard there are a number of health & safety factors to consider. It is important to purchase the right sized guard for your heater otherwise the guard will not function properly and may create a health and safety risk instead of offering protection. As a rule of thumb, you should add 75mm to each side of your heater to identify the guard size. We recommend you read through our guidance notes How to calculate your radiator guard size before selecting your guard. MS Guardio offers a wide selection of standard guards that we keep in stock for many of the most popular radiators and we are expanding this range all the time. 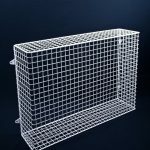 But if you cannot find the correct radiator guard on our site, or if you have special requirements, for example, skirting boards, heating pipes, restricted spaces from alcoves or window sills, send us your requirements and we will contact you with a quote.